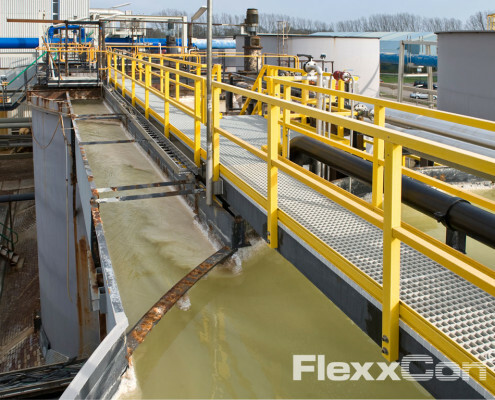 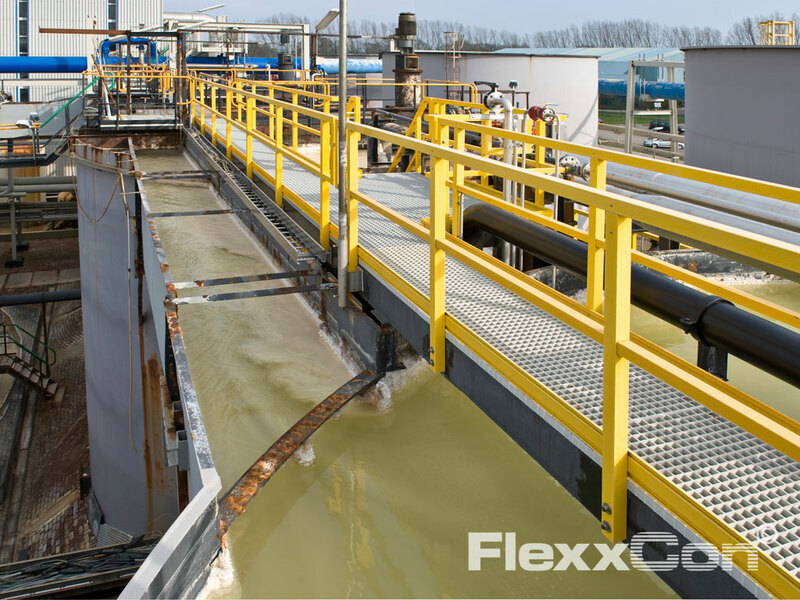 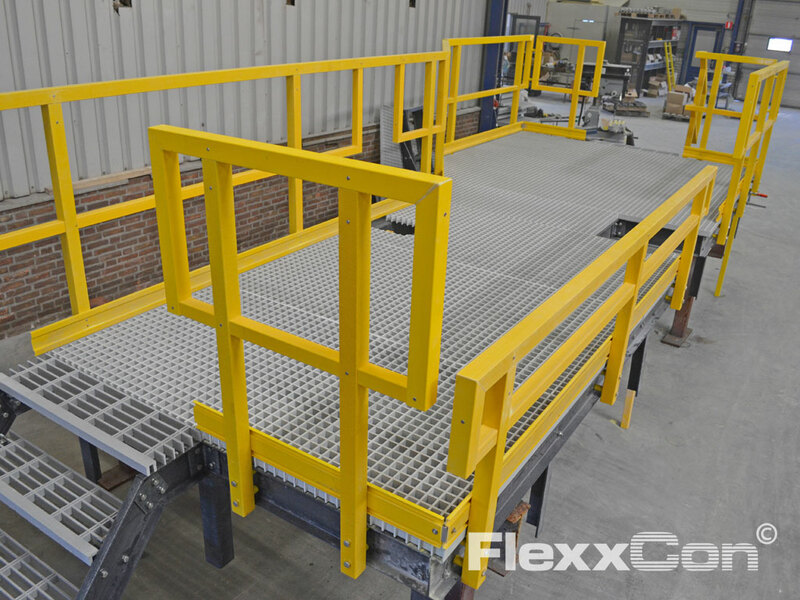 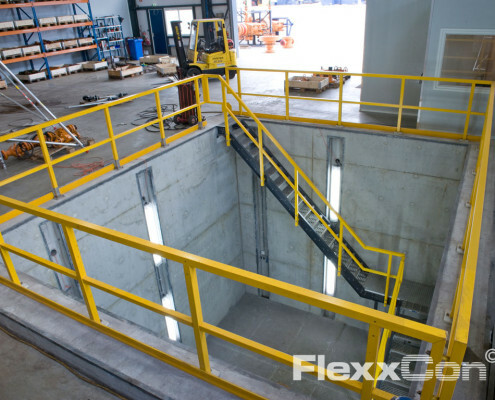 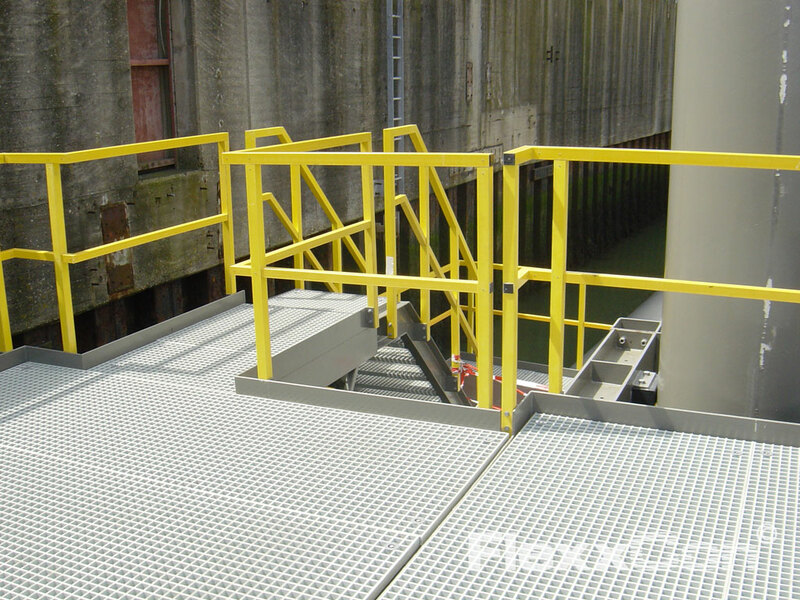 FlexxCon supplies various types of Fibreglass Reinforced Plastic handrails and handrail systems. 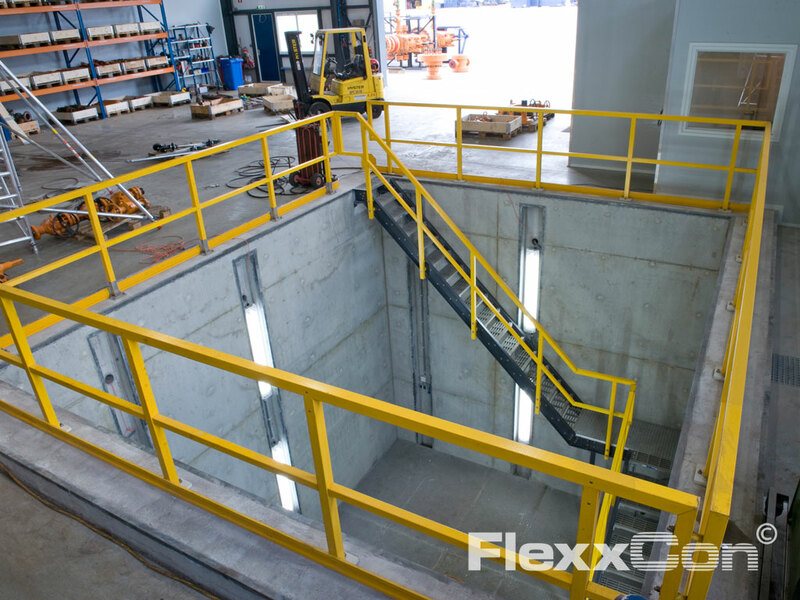 With respect to design and strength, all handrail systems comply with the NEN-EN-ISO-14122 and also provide a safe, durable, low-maintenance and corrosion-resistant solution. 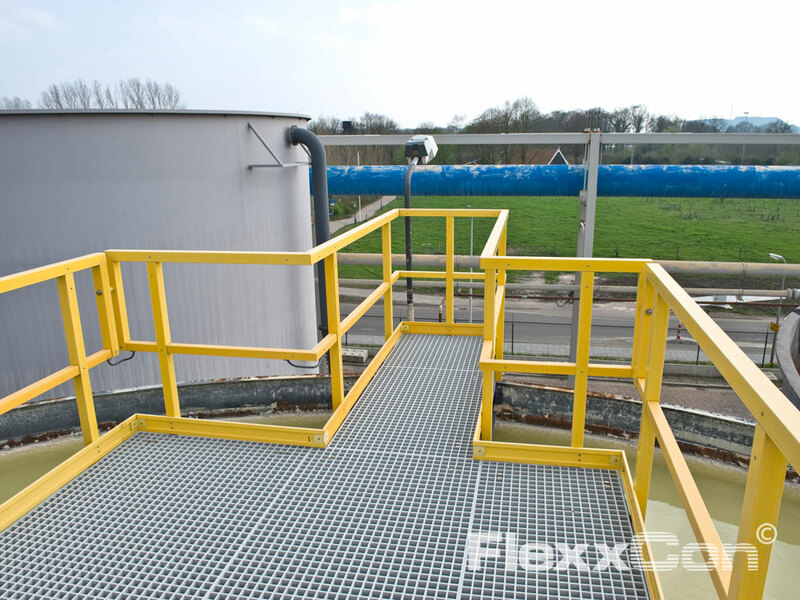 Fibreglass Reinforced Plastic (FRP) handrails do not rust or rot and are maintenance-free! 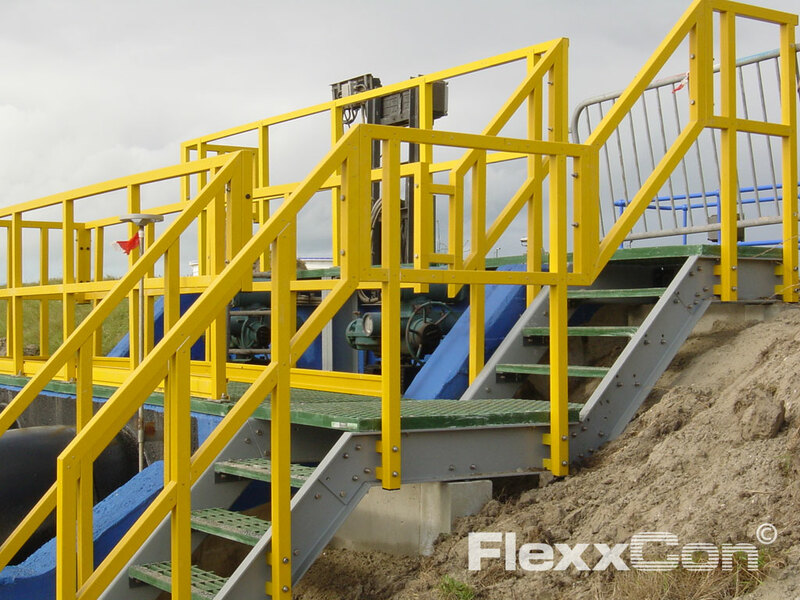 The Fiber Reinforced Plastic handrails are available in the standard colours safety yellow or grey (approximately RAL 7001). 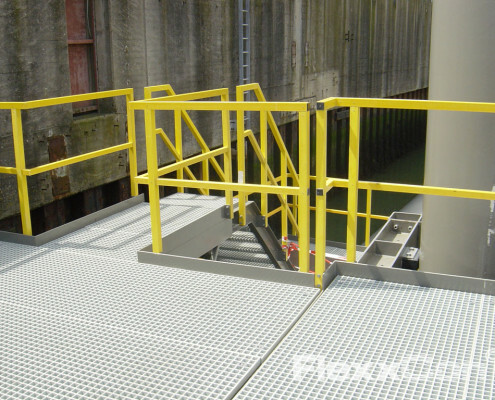 Fiber Reinforced Plastic handrails are available in a range of varieties, from standard box designs to handrails with a special ergonomic top rail. 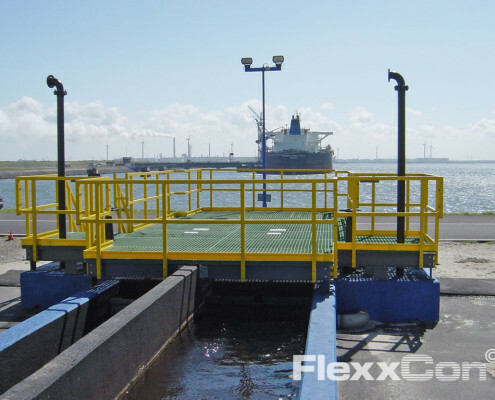 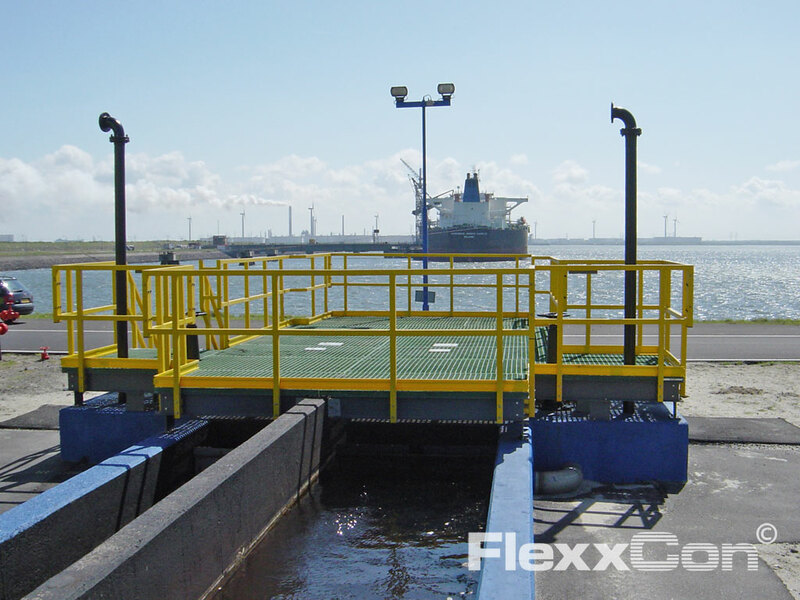 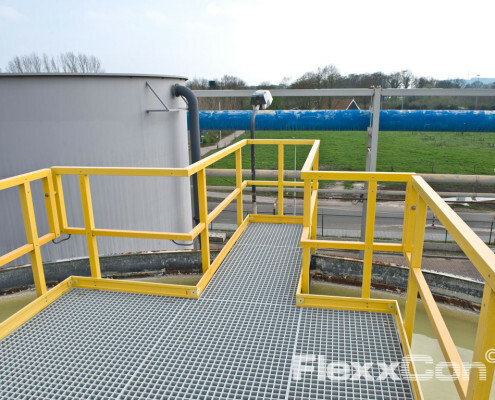 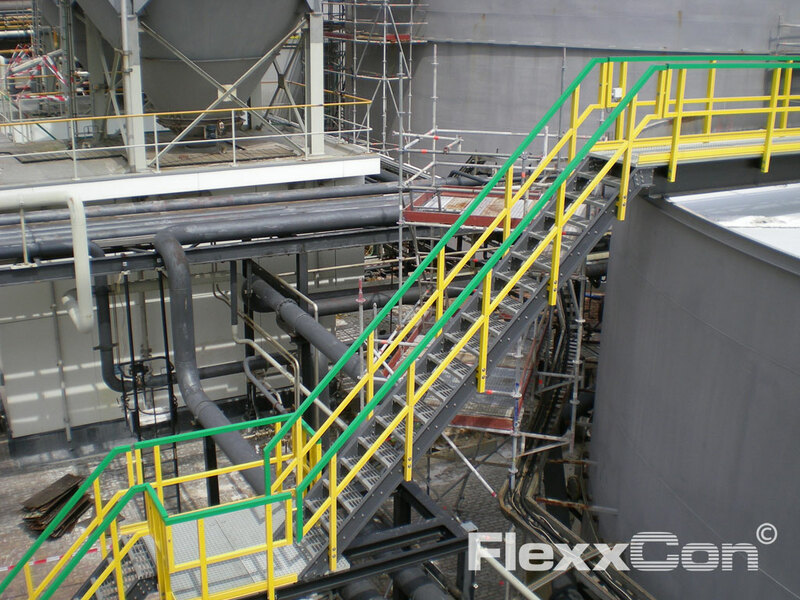 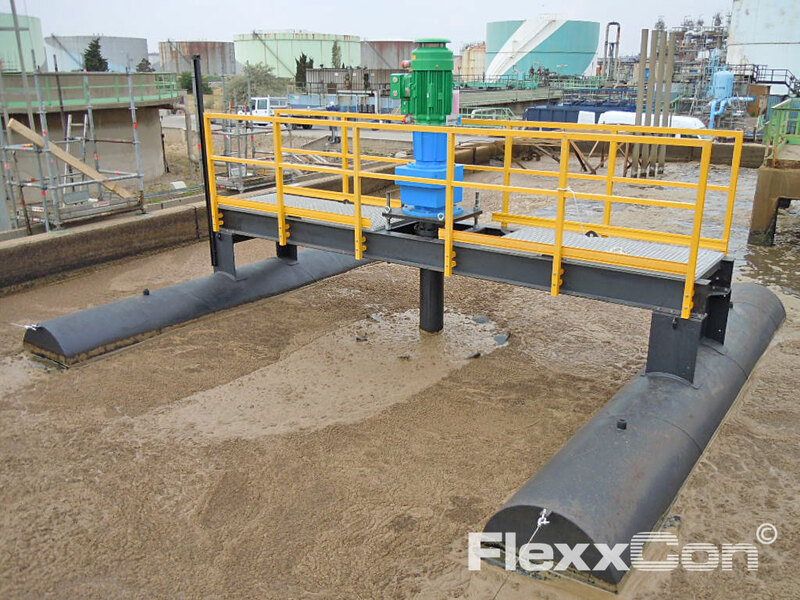 FRP (GRP) handrails are often used in constructions such as: landings, staircases, walkways and escape routes in corrosive environments such as the (petro) chemical industry, shipping, water purification plants and offshore. 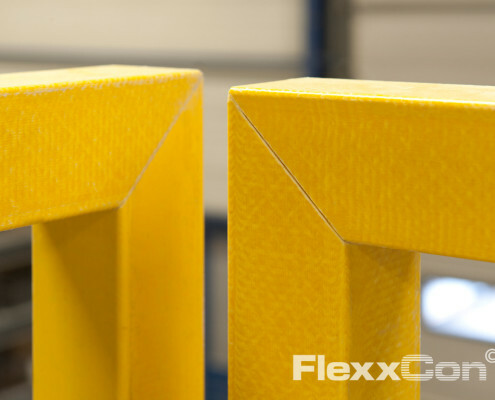 Fibreglass Reinforced Plastic is corrosion-resistant, high in strength, lightweight, low-maintenance, safe and easy to mount. 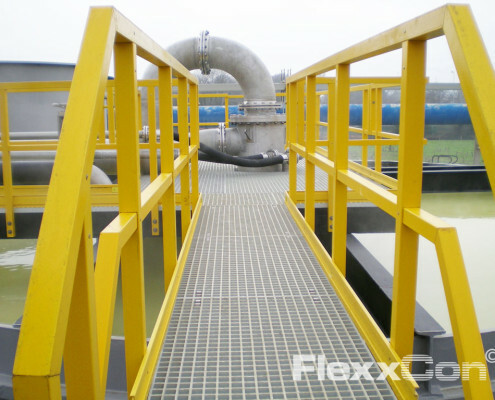 This makes Fibreglass Reinforced Plastic (FRP) excellent construction material for environments that are susceptible to corrosion. 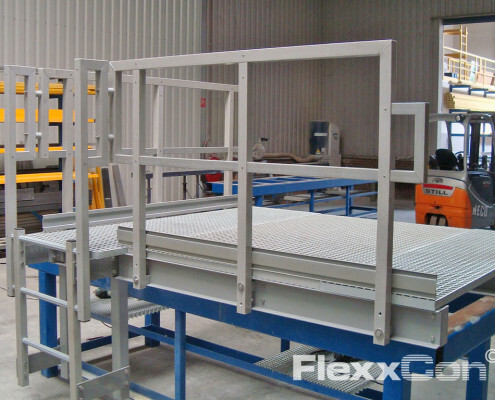 Furthermore, it is usually cheaper than steel or stainless steel. 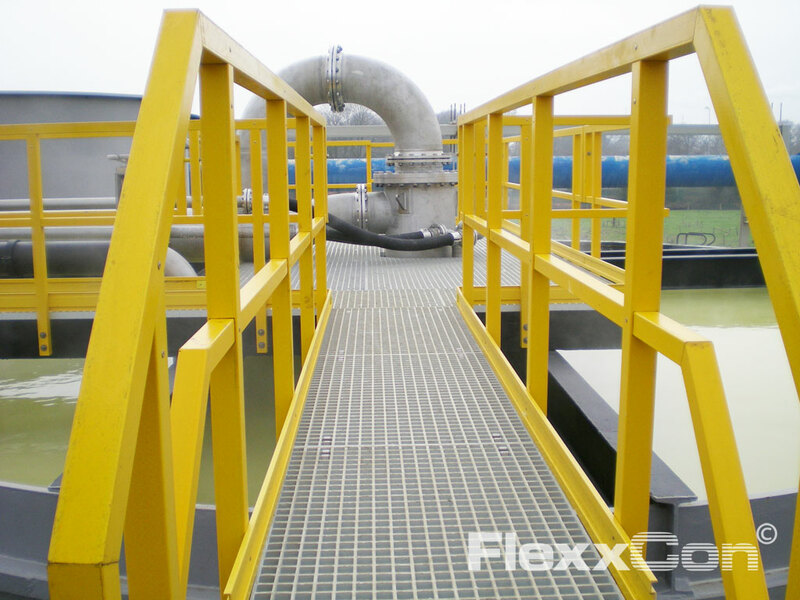 Do you want to know more about FRP handrails and their many applications? 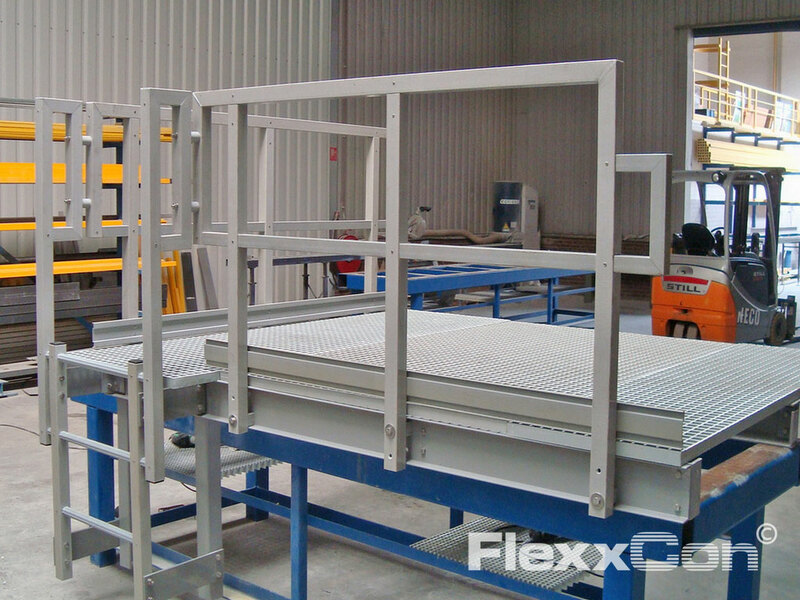 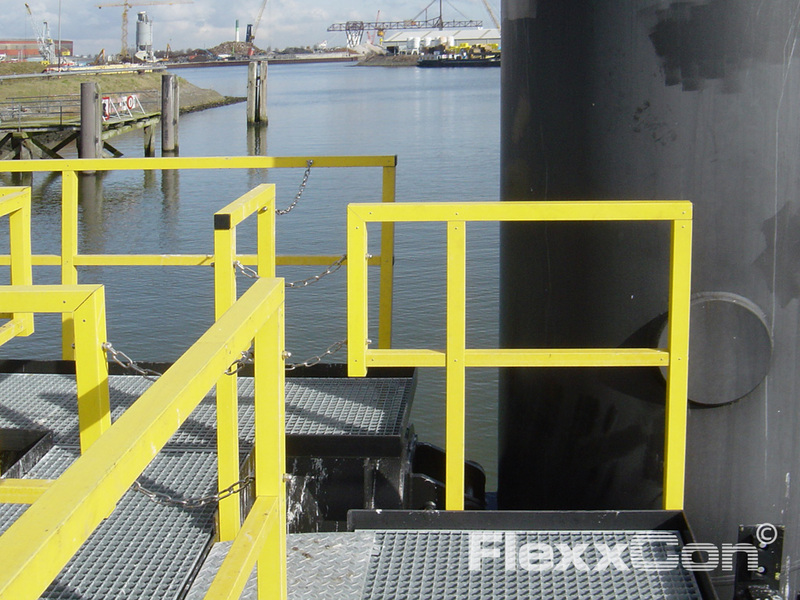 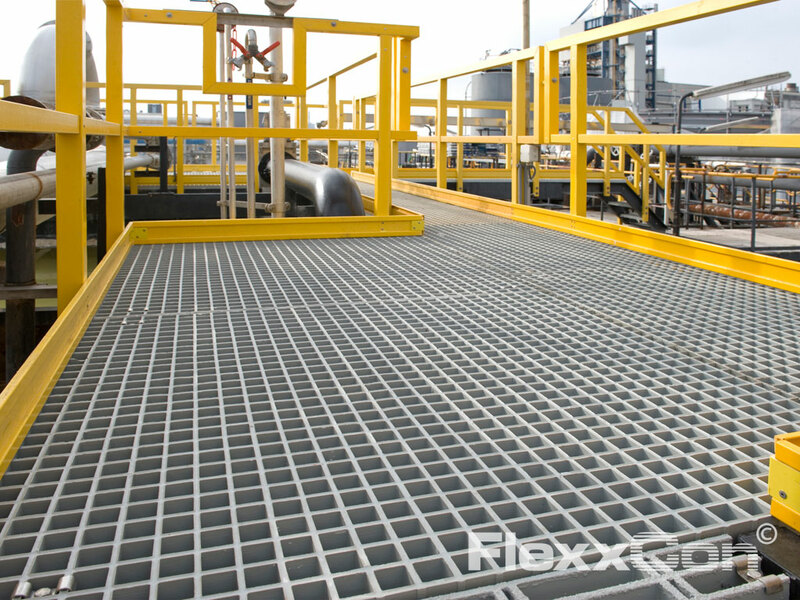 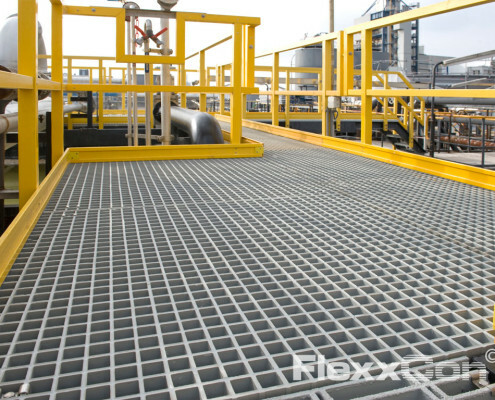 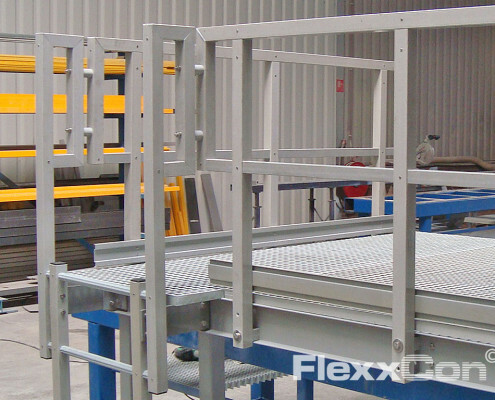 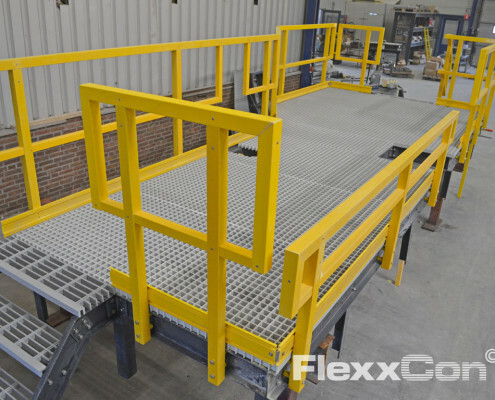 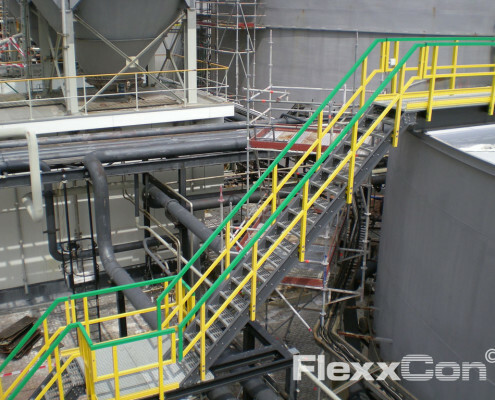 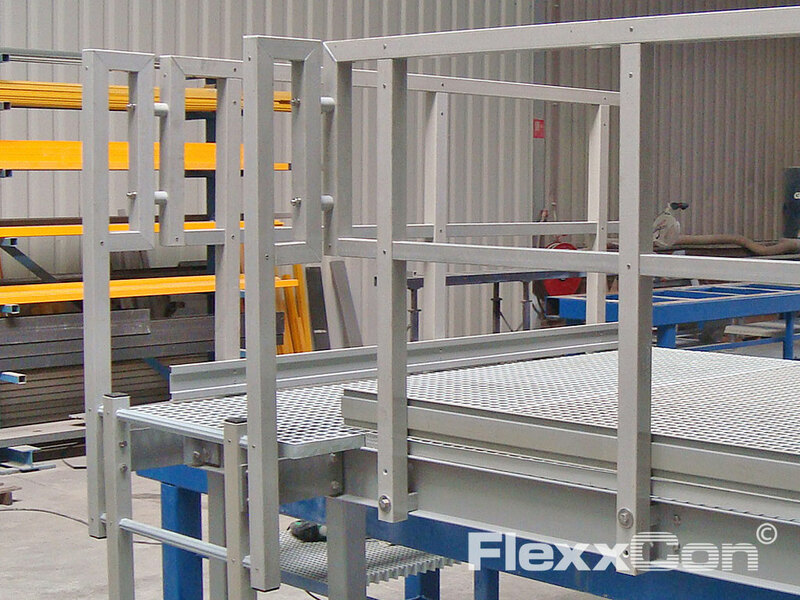 FlexxCon supplies Fiber Reinforced Plastic grating, handrails, ladders, cage ladders and complete FRP constructions. 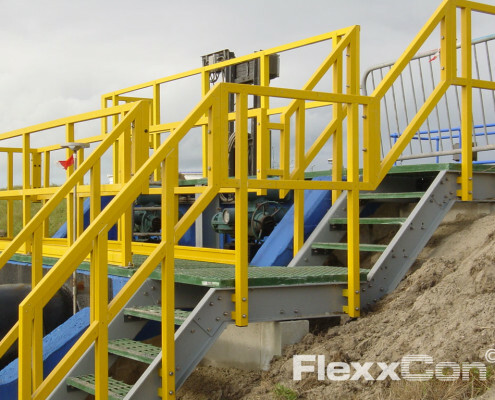 Furthermore, FlexxCon supplies support services, such as design, drawing work, construction and installation. 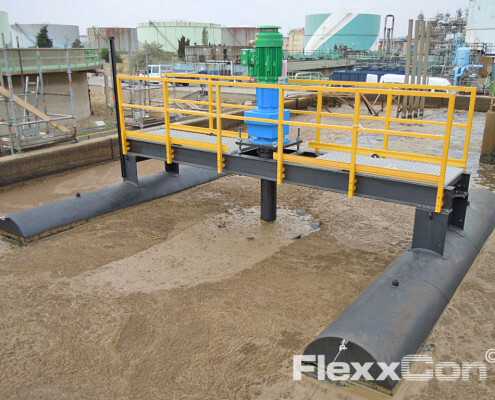 If desired, the Fiberglass Reinforced Plastic (GRP) products are custom-made, including (support) services. 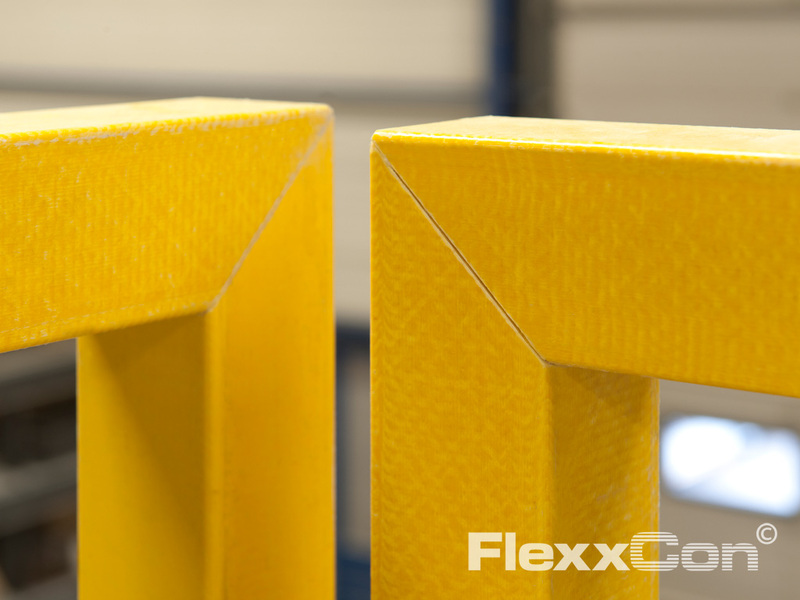 Quality, fast and flexible, high-tech.